Cardi B turned down Super Bowl Halftime gig to support Colin Kaepernick. 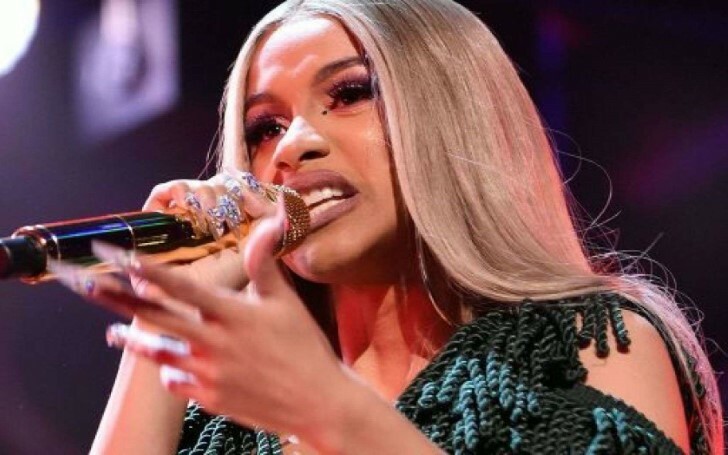 Recently, the rapper Cardi B revealed, she declined Super Bowl Halftime gig to stand behind ex-NFL player Colin Kaepernick. On Friday evening, during an interview with the Associated Press, the Grammy-nominated singer revealed about the "mixed feelings" she went through after turning down the show. "You have to sacrifice that. I got to sacrifice a lot of money to perform. But there's a man who sacrificed his job for us, so we got to stand behind him." The singer said it was a tough decision as her husband, rapper Offset, loves watching football. "He really wants to go to the Super Bowl, but he can't go to the Super Bowl, because he's got to stand for something." The former San Francisco 49ers quarterback Colin Kaepernick kneeled down during playings of the pre-game anthem in 2016 to raise awareness on police brutality, racial inequality, and other social issues, igniting a lasting political firestorm. Following the incident, some other musical artists including Rihanna and Pink reportedly turned down offers to perform during this year's halftime. In a recent song, Jay-Z also alluded to declining to perform at the Super Bowl, and Amy Schumer refused to appear in a TV ad during the game. Apparently, Maroon 5 will perform during the halftime show alongside Big Boi of Outkast and rapper Travis Scott while Gladys Knight will sing the national anthem. Cardi B will also have a brief appearance on a Pepsi Super Bowl commercial. Last year, during her interview with TMZ, the rapper persisted she wouldn't perform at the big game until Kaepernick was offered a job. As per the singer, the arrogance of the apparent leader is the prime cause behind the increased hatred and prejudice regarding race. "We got an arrogant president, and the racism right now has been reborn. They feel mighty brave nowadays. When Obama was around, I just feel like they were praying on the day when his eight years was over. A lot of jealousy." "When they see (how) the choices they made due to racism has affected the country, that's when things are going to start changing. Right now, they don't want to accept that their decision has affected the country." With the protest supporting Kaepernick, Cardi B hopes to bring about the positive change in the world.